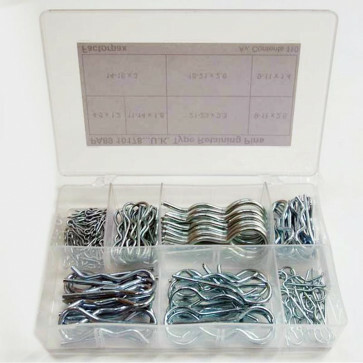 Assortment box of high quality Retaining Pins, UK Pattern manufactured from High Carbon Steel zinc plated. Contains approx 110pcs of the most popular sizes. Supplied in a handy sturdy storage case with a grid on the box for quick and easy selection.